One Story Building is creating a comedy web series. Oh, hey! My name is Donovan and I'm the Executive Producer and Creator of One Story Building. 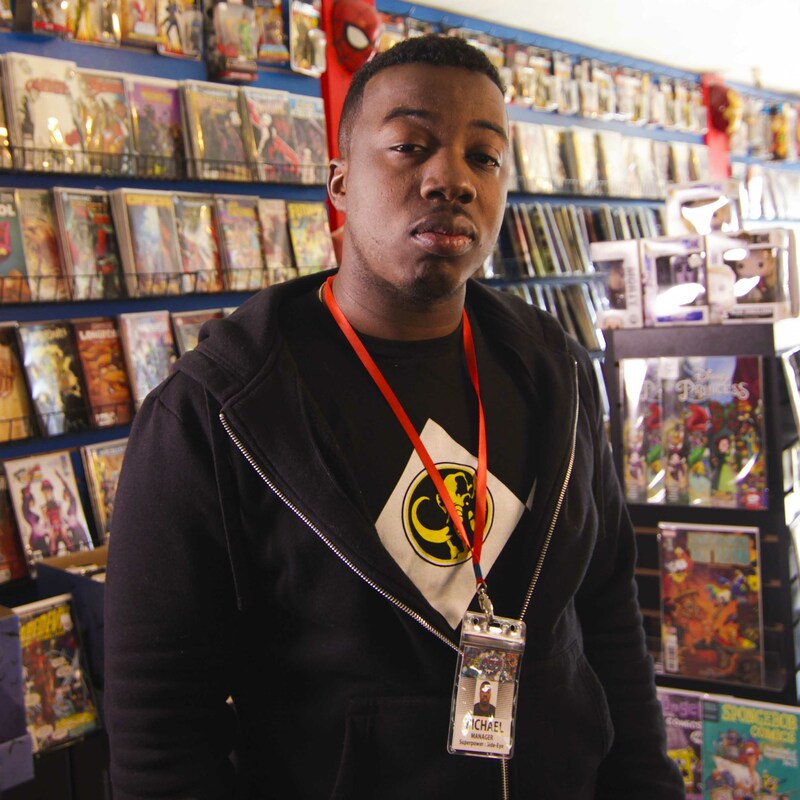 I've been in the film industry for over ten years now trying to maneuver my way around a landscape that really wasn't interested in my perspective as a quirky black kid that likes to make weird sci-fi movies and talk about comics. Having the capital in order to fund these nerdy projects has always been a challenge. I know that there are so many people, allies, old nerds, new nerds, that want to see themselves represented in new stories like they've never seen before. Patreon is a great and legit platform for us to pull together the resources through support from the community and make creative and progressive work! Story is a super creative indie comic book artist who's looking to make waves in the industry with her crazy cool and sometimes strange creations. She loves the art of Fiona Staples and Whilce Portacio. 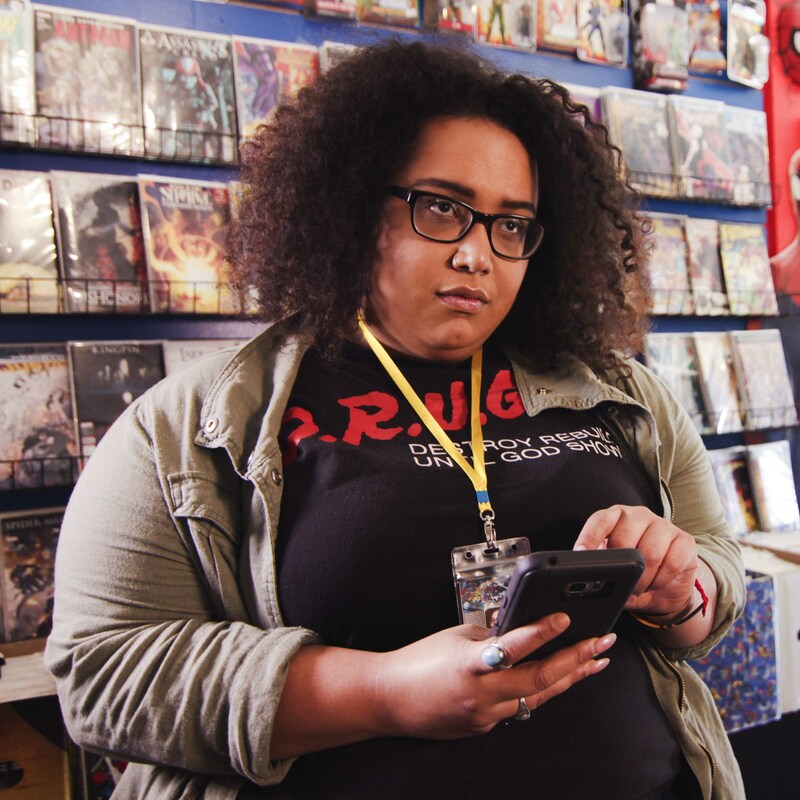 Michael has transformed an inherited shop from his grandmother into the best SoCal comic book store called Shoreline Comics. He loves and reads it all, so he can be a bit much. He's loving that new Ta-Nehisi Coates Black Panther run! After leaving her home of New York to find some new direction in Cali, she reconnects with her cousin, Michael, and they quickly vibe in their love for throwing shade. She's still trying to really find her true calling. The more support that we get, the better our overall show quality will become. Trust me, we'll still be raw for life, but things might just bling a little more where it needs it. Your support allows us to have special guests, better equipment, more locations, and so much more. Talk to us because we want that dialogue as we move forward in this web series journey! These goals represent how we're trying to maintain and improve upon the quality of the show. 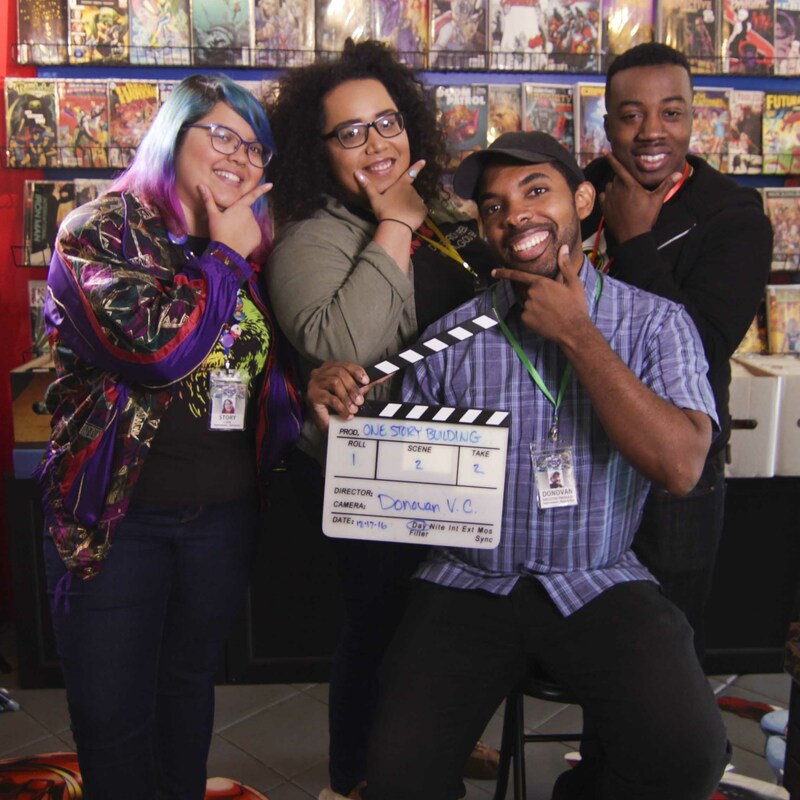 At our entry level you'll get access to Patreon-exclusives like behind the scenes photos and videos like gag reels, interviews, and much more! We'll also be doing polls to see what you're all into at the moment and what direction we should take with the show. Want to see the newest 1SB episode before your best friend??? This reward is the way! We're here editing with lightning speed to bring you the latest and greatest asap! You'd be the first to be notified. AND you'd be receiving all the previous rewards as well. Once a month we'll hold a Patreon exclusive live stream ONLY FOR THIS TIER AND ABOVE of supporters. We'll be super chilling and you can chat us up about comics, movies, and all that good stuff. We'll even go into the heavy stuff too! And of course you qualify for the earlier rewards as well! Are you ready to get ROASTED?!?!? Michael and Yoyo will send you a personalized 1 minute video roasting you after you send them your photo. How invincible are you really? This reward makes you an Official Sponsor of 1SB. You get to have your logo at the end of our show that includes the main cast reading aloud your company name (like they used to do in the 90s with all those Saturday morning cartoons!). Certain restrictions apply. Feeding the crew is soooo crucial to keeping energies high and the comedy on point! Meeting this first goal is a necessity for us as a team. We have to eat on these production days, because water on Cinnamon Toast Crunch is not so great, you know what I'm saying?